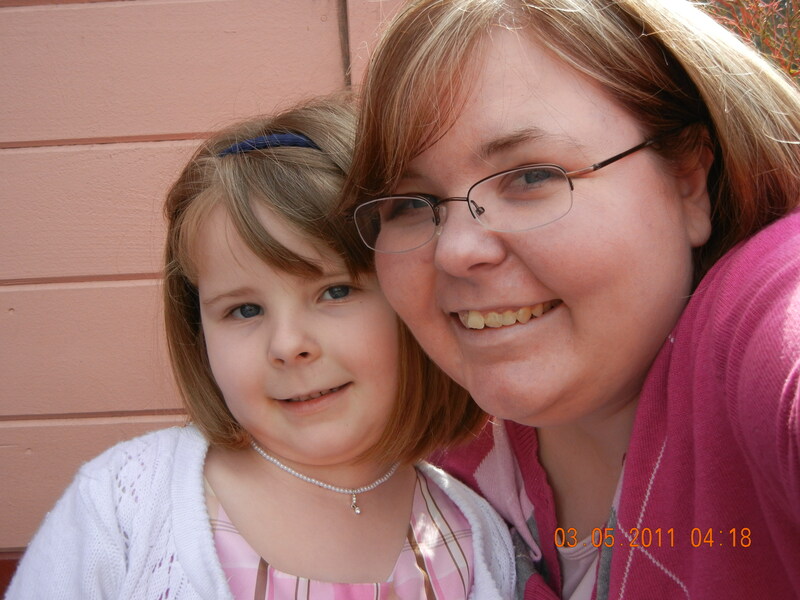 My name is Amy and I have been birthmom to Kaylee in an open adoption since 2004. 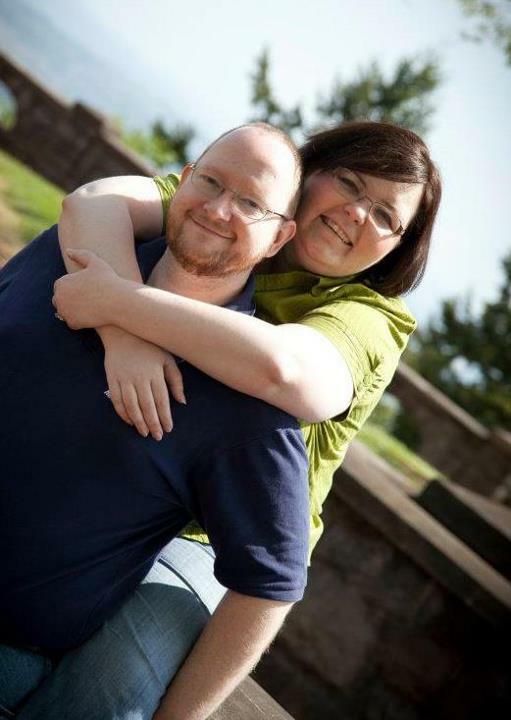 I was married in 2007 and since 2007 I have lived in Arizona, Connecticut, Ohio, and will soon be relocating back to Connecticut. Ever since placement of Kaylee I have been actively involved in the adoption world, and hope to always have a hand in the adoption world to help spread the message that adoption doesn’t need to have a negative connotation. 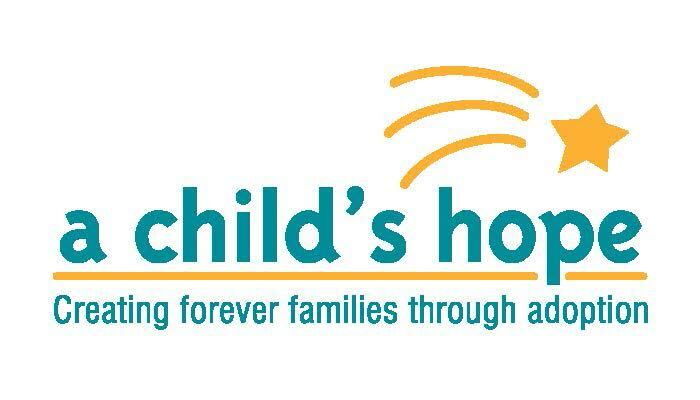 I Â hope to continue this by working in the adoption world after graduation from Cleveland State with a Bachelor’s Degree in Social Work and then work towards my Masters Degree in Social Work from Southern Connecticut State University. When I am not busy with school and homework I like to read, watch movies, play games, travel and have a glass of wine with my closest friends. In addition to these activities I am the co-founder of No Hats Required Tea Group in Cleveland, Ohio. I also co-lead a Movie & Book Club and also am an Event Organizer for a Ladies Club here in the Cleveland area. I also am vice president to the Schumaker Foundation which is a non-profit group that offers scholarships to exceptional students. Below is my adoption placement experience which was written six weeks post-placement. The feelings are raw and true, which may cause you to need tissues. I welcome you to read the experience that has forever changed my life. I was 22 years old when I found out that I was pregnant. It was the month of May 2003. I had been a friend with a guy named Scott. I had started talking to him on the Internet a year earlier. We had met a couple more times after the first time meeting in person. On the night of May 9, 2003 I went to his house for the night. We were lying in bed and he asked me if I was still on the birth control pill. I told him no because I had run out of them and had not gotten any yet. He then said, âUhâ¦Oh!â At that moment I knew that I was pregnant. That next morning, Scott told me to go get the âmorning-after pillâ. Well, since I didnât have health insurance, I could not get a prescription for it. A few weeks past and I still had not gotten my period. I finally took a pregnancy test, the Tuesday after Memorial Day, at work and sure enough it came back positive. I didnât even have to wait the whole three minutes, because the pink line was very bold! That night I went home and told my mom. I was extremely nervous in telling her, but I had to, before she found out from someone else. So when she got home from work, I told her that I had something to tell her. She asked me if it was good or bad. I told her that I guess it depended on how she looked at it. I stumbled to find the right words, so I just finally came out and said it. She was very quiet and said, âWell, okâ. When my dad got home, my mom told him. It was a very uncomfortable evening, to say the least. I felt like this was just one more thing to add to my plate of wrong doings. I was mad at myself for ending up this way. The next day I went to the Canby Crisis Pregnancy Center to confirm that I was pregnant. They asked me if I was going to parent the baby or place the baby into an adoption. I told them that I was going to keep the baby. When I got home that night and told my parents that yes I was definitely pregnant, they asked me what I was going to do. My answer was to either keep the baby or place the baby into an adoption. However, I was adamant that I was going to keep the baby. That night I talked to Scott and told him that I was pregnant. He was furious, to say the least. He could not understand why I didnât go and take the âmorning-afterâ pill like we had talked about. He told me that since I didnât take the pill, then I had to get an abortion. I told him that there was no way I would get an abortion! That was totally against what I believed in. I told him that I was going to keep the baby. He asked me why I would want to keep this baby. He told me that I was stupid for keeping it and that getting an abortion would be a quick fix. He said that I needed to go back to school and get a degree and a baby was just going to be too hard to do all of that. That next week I went to my regular counselor. She asked what I thought about being pregnant, as what I thought about being a mom. She also asked me how I felt about adoption. I told her that 1) I didnât know too much about it, and 2) what I did know about adoption, I didnât really like. For homework, she has me write out a PROS and CONS list for both ideas. As I did what she had asked, I began to see how much more adoption was. I then decided that adoption was probably my best choice. I had to stop thinking about myself and start thinking about this baby. I also had to think about what was best for this baby. I called around to about five different adoption agencies. I found that I liked an agency called Open Adoption and Family Services. Scott was actually the one who found this agency on the web (www.openadopt.com). When I called them to set up an appointment, they were so nice. They were concerned about me AND the baby. That is one aspect of their agency that I really liked. I had my first appointment with Sari (pronounced Shari) on July 23rd. I was pretty nervous at the first meeting, since I didnât know what to expect. Sari was so nice, and she was pregnant herself. We talked about why I had chosen adoption over parenting. She also did a âgetting-to-know-youâ interview, too. She sent me home to do a little bit of homework. She wanted me to look at all of my options for parenting and placing for an adoption, and then make a new PROS and CONS list for both options. I started to go see her once a month. On September 18th, I had an ultra-sound and was told that I was going to have a little girl. Sadly, Sari told me that she was going to be leaving for her maternity leave in the end of October, so I would be meeting with a new counselor. Her name was Amy D. I found Amy to be very nice and that I could connect with her a lot more than what I did with Sari. In October, I started looking at adoptive families. Amy told me to look them over and choose five different families. I had many regulations that the couples must have. I was looking for a family that was: heterosexual, young, went to church, lived in Oregon or Washington, had good family values, had either no kids or one other kid, and many more things. I looked at a lot of people. I found five couples that I wanted to look a little bit deeper at. Once I picked out the five couples, I called Amy to let her know. When I went to the next appointment at the adoption agency, Amy gave me a full detailed packet on each of these five families. From those five I had to narrow it down to one family. I finally narrowed it down to a couple named Darrin and NaeDean. Their full detailed profile just seemed so down to earth. I felt like I could really get along with them. They had everything that I was looking for. They didnât have any kids yet, they went to church, liked to go camping, very close to their families, and they lived in Oregon. I called Amy to let her know that I wanted to meet them. A couple weeks before I met them, I had a counseling session with Amy, with Scott in attendance. This was the first time I had seen him since the night that I got pregnant. He agreed to meet with Darrin and NaeDean, too. On the morning of December 3rd, my mom and I went to the adoption agency. This was the day that we would meet Darrin and NaeDean for the first time. I was so nervous and sick to my stomach. I told my mom that I didnât know if I could go through with this. She just told me that it was just my nerves and that I would be just fine. The moment I walked into the mediation room at the adoption agency, all of my nerves went away. I knew that Darrin and NaeDean were the people to take my baby. After the meeting, Darrin, NaeDean, Scott, my mom, and I all went to lunch at a nearby Mexican restaurant. The lunch was a little weird but we all got though it. We were all just nervous and didnât really know what to say. Before we all got into our cars, NaeDean asked me if I still wanted to go through all of this. I said, âOf course!â I was so happy that she was feeling the same way I was. I felt like I had known her and Darrin for a lot longer than just a couple of hours. While we were at lunch, we exchanged addresses and phone numbers. The next morning, I called Amy to let her know how I was feeling and told her that I wanted to take the next step in the process. Amy told me that NaeDean had actually called on her way home from lunch, which made me feel really good. Amy told me that we would set up the second mediation for sometime in early January. In December my parents and I had went down to visit Darrin and NaeDean at their house. They also came up to Canby to meet the rest of my family for dinner one night in January. January 15th was the second mediation. This meeting was when we talked about the Open Adoption Agreement. Scott was unable to attend this meeting, due to his uncertainty about what he wanted out of the adoption. Darrin, NaeDean, and I agreed on a minimum of four visitations a year for the first five years and then two times a year until the age of eighteen. Then we agreed sending pictures and letters at least four times a year until the age of eighteen. Next we talked about names. At that point, NaeDean and I had three names picked out. We had: Katelynn Rae, Karlee Rae, and Hailey Rae. I asked if we could use either my first name or middle name as part of the babyâs name. A couple weeks before I went into labor, NaeDean and I spent a Sunday afternoon together. We went to lunch and then saw a movie. We had begun exchanging email and phone calls on a regular basis. NaeDean and Darrin were easily becoming new members of my family. On January 30th (four days before my due date), I started to go into labor. My mom took me up to the hospital and I was admitted at midnight. After being in labor for seventeen hours, a five-pound four and a half-ounce baby girl was born at 12:49pm. I looked at NaeDean and asked her what the babyâs name was. She hesitated and then said, âHow about Kaylee Rae?â And it fit perfectly. I stayed in the hospital for the next two days, since I could not sign the adoption papers for forty-eight hours after Kaylee was born. I kept Kaylee in my room most of the time. I let Darrin and NaeDean come and go as they pleased. NaeDean was in my room for the entire labor and then most of the day on Saturday. It was nice to spend sometime with Kaylee and NaeDean. She told me that if I wanted to be alone with Kaylee, to just tell her. But I wanted her to be there. While I was in the hospital, I was experiencing a lot of different emotions that I had not ever felt before. I can not even really describe the emotions that I was feeling. I was so happy to see Kaylee in my arms, but yet sad at the same time. I knew that in just a couple of days she would be going home with Darrin and NaeDean, rather than with me. I did not allow myself to be in the room alone with Kaylee that much. Every time I was alone in the room with her, my eyes would start to fill up with tears. Mainly just my family came and saw me on Saturday, and my sister stayed with me on Saturday night. I kept Kaylee in my room with me most of the night. I sent her to the nursery for just a couple of hours, so that I could get some sleep. On Sunday, my parents and Darrin and NaeDean came back to the hospital. Sunday was also Super Bowl Sunday so I wasnât expecting visitors until late afternoon. NaeDean had brought up a huge care basket for me. It had lotions, bath gels, slippers, a journal, and a whole bunch of other stuff. My adoption counselor, Amy, came and saw me, too. She wanted to see how I was feeling. She was glad to hear that everything went well. She told me that she would be back the next day around 11am or so to sign the papers and stuff. My bible study girls and church group all came to see Kaylee and me after church. It seemed like there was a never-ending line of people on Sunday. My mom stayed the night with me. Monday morning, February 2nd, I woke up crying and feeling very emotional. I felt mad, sad, and even jealous. I was jealous that NaeDean was going to be taking my Kaylee home with her. I felt like I was a bad mother for giving her away. But I knew it was the right thing to do. I kept telling myself that Darrin and NaeDean were going to take good care of her, and that I was going to be able to watch her grow up. My mom and I took a whole bunch of pictures of Kaylee and I before everyone else got there. Amy finally got there and asked me how I was doing. My mom told her that it had been a pretty emotional morning. Amy completely understood. She told me that once I felt ready to sign the papers to let her know. So around 11:30 am or so, I finally told Amy that I was ready. Darrin and NaeDean left the room. In the room it was Amy, my mom, my dad, Kaylee, and I. Amy started to read the document out loud and I was trying to be brave and not cry. But I could not fight back the tears. Once they started to roll, they came like a river. I could not really hear what Amy was saying, but I knew what the documents had said, since we had went over them at a previous counseling session. I felt like I was stuck in a bad dream, and that I was going to wake myself up and everything was going to be ok. When Amy was done reading the first document, she asked me if I understood. I said, âYes.â And then I signed and dated the document. She then did it a second time with the other piece of paper. The hardest part was watching Amy stamp each document and notarize them. After we got done with that, Amy gave my family some time alone in the room. All three of us just sat and cried. My dad said a prayer for Kaylee after awhile. We finally got the composure to let other people come back in the room. Darrin and NaeDean came in first. NaeDean was crying just as much as me. I knew that her tears were of joy and sorrow. She was happy to finally become a mom, but at the same to be taking this precious baby away from her birthmother. Darrin came over to my bed and gave me a gift box. I opened the box and there was another smaller box inside. I opened that box and there was a gold heart locket. On the inside of the locket there was a picture of Kaylee, and then a picture of Kaylee and me. On the back of the locket, they had engraved âLilâ Missâ, the nickname I had given Kaylee when I was pregnant, since we hadnât picked out a name yet. Then Amy came back in and Scott and his mother came in. Amy said that this was a time for all of us to sit and reflect on what had happened in the past nine months. We were all pretty quiet. Then Scott finally spoke. He thanked my parents and I for choosing such a great couple and said that Kaylee is pretty great. He got pretty choked up. It was nice to see that he was feeling the same way I was. After Amy had everything taken care of with the hospital, we all got ready to go. 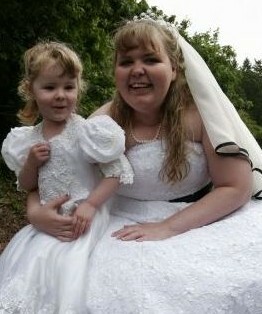 Amy had to walk out with Kaylee, since I had signed the adoption papers releasing her from my care. When we got outside, we put Kaylee in her car seat and Darrin and NaeDean left. Before they left, both of them gave me a hug. NaeDean told me that she would call me to say that they got home safely. We planned on me going down to see Kaylee that next Saturday. That first couple of days at home were the hardest. I cried myself to sleep, because my catâs meow sounded like Kayleeâs cry. I slept with a little teddy bear that was about the same weight as Kaylee. The next Saturday, my mom and I went down and saw Kaylee. It was so good to be able to see her within a week of her going home with Darrin and NaeDean. I feel like it helped me accept my decision a little easier. A couple weeks later, someone asked me how I felt on the day that I signed the adoption papers. I told them that it was a very hard thing to explain. Awhile later, I was talking to another friend who had been through the same thing as me and she explained it like this. She said, âItâs like having someone stick a knife in your heart, slowly turning the knife, while patting you on the back telling you that you are doing the right thing.â I could not believe it! She nailed it on the head on the emotions that I had been feeling! It was just amazing! Still to this day, I do not regret my decisions at all. Yesâ¦sometimes I wish that I could have Kaylee here at my house with me, but I know that she was meant for Darrin and NaeDean. I gave Kaylee a better life and completed Darrin and NaeDean as a family. I also feel like family to Darrin and NaeDean. Kaylee will grow up knowing her adoptive parents and her birth family, too. What more could she ask for?